The two editions of Yeats’s A Vision have distinct and separate fictions surrounding them. They involve many of the same characters and the core of Michael Robartes’s discovery of the documents is used in both, but with such significant changes and variations that the nature and function of the stories changes. The 1925 A Vision A gave no account of the System’s origins in the Automatic Script and used instead a fictional construct, in which Yeats resuscitated the characters of Michael Robartes and Owen Aherne, who had featured in a group of stories in the 1890s: Robartes as the leader of the Order of the Alchemical Rose in ‘Rosa Alchemica’, and Owen Aherne as the discoverer of the law of the Holy Ghost in ‘The Tables of the Law’. Yeats had originally intended the exposition of his System to be a dialogue between these two characters, and the more complete drafts are published as Yeats’s ‘Vision’ Papers, Volume 4. Possibly because he found exposition through this form of dialogue becoming increasingly difficult as the System grew in complexity, Yeats put aside the idea in this form, to create a story of origin which prefaces and partly informs the presentation of the System in A Vision. The poem ‘The Phases of the Moon’, written ‘To some extent. . . as a text for exposition’ (VP 821), is partly a relic of this earlier conception and places Robartes and Aherne outside Thoor Ballylee, deciding not to tell Yeats about how their knowledge could illuminate his labours. Yeats, enthused by the System that was emerging, started writing poetry inspired by its ideas at a very early stage, so that The Wild Swans at Coole (in its 1919 and 1920 Macmillan versions) contains several poems based upon the System, most notably ‘The Phases of the Moon’, which were unexplained in this collection (see VP 852). Yeats evidently realised that this was confusing to his readers, and that some background might be helpful, which he presented through the fiction which had been part of his conception from a very early stage (see Background below). The myth which Yeats created was therefore first made public through fragments, in prefaces and notes to his poetry and plays: Michael Robartes and the Dancer (1921; VP 853 & 821-25), Four Plays for Dancers (1921; VPl 566, 777-78 & 789-91), Later Poems (1922; 1924; VP 821), Plays and Controversies (1923; VPl 566, 777-78 & 789-91), ‘The Gift of Harun Al-Rashid’ in The Dial (1924; VP 828-29), and The Cat and the Moon and Certain Poems (1924; VP 828-29, VPl 805), before Yeats gave a full exposition in the first edition of A Vision, dated 1925 and appearing in January 1926. Warwick Gould has compared the fictions to Shahrazad’s tales in the Thousand and One Nights, ploys to gain time as much as to entertain (‘'A Lesson for the Circumspect'’), and Yeats was trying to reconcile two different needs, to clarify the poetry directly inspired by A Vision’s System and not to divulge secrets concerning the Automatic Script, which the Instructors had forbidden and George was extremely loth should be known. In the preface to Michael Robartes and the Dancer (1921) he notes that he has ‘given no account of’ the whole story, since he hoped the account, drawn ‘from the great mass of [Robartes’s] letters and table talk’ might even ‘be published before, or at any rate but soon after this little book, which, like all hand-printed books will take a long time for the setting up and printing off and for the drying of the pages’ (VP 853). In the event, the time-buying was prolonged rather further, so that the fiction both grew as a frame and diminished in the exposition of A Vision. The preface to A Vision A is narrated by Owen Aherne, who tells of Robartes discovery of the System and a rival editor, Mr Yeats the poet, who both is and is not the Yeats who creates the book of A Vision. Aherne’s account is one of an editorial dispute, in which Robartes, having originally entrusted his papers to Aherne, transfers the material to Mr Yeats, because he finds that Aherne’s bias is too Christian and conventional. This story contains the next one of the System’s origins, told by Robartes to Aherne. Robartes has discovered two sources of esoteric wisdom, which have no obvious direct link, but which both treat of a strange and original system of gyres and geometry, in which the soul’s incarnations are symbolised in the phases of the Moon. The first source is a copy of a book by a man named Giraldus, Speculum Angelorum et Hominum, ‘The Mirror of Angels and Men’ (the drafts make it clear that Yeats intended this to be certainly the unique surviving copy of the book). The book, left in some rooms in a Cracow house which Robartes has rented, is incomplete since Robartes’s lover has used some of the pages to light a fire. Published in 1594 in Cracow, there is evidence that the writer and content may well be from an earlier period. Having then travelled to the Near East, Robartes notices figures in the sand which are almost exactly the same as those of the book, at the side of the road from Jerusalem to Damascus. He eventually finds the people who made the sand-figures, a tribe called the Judwalis, which means ‘diagrammatists’. Their belief system is based on a lost book called ‘The Way of the Soul between the Sun and the Moon’ by Kusta ben Luka, a ‘Christian Philosopher at the Court of Harun Al-Raschid’, and passed on through the generations through the means of these diagrams in the sand. Robartes himself discerns even more remote Syriac origins and an old man attributes the teachings to a desert djinn. The first book of the exposition proper is entitled ‘What the Caliph Partly Learned’, and following ‘The Phases of the Moon’, Aherne retells Robartes’s account of a story involving Kusta ben Luka and a Caliph of Baghdad, in which Kusta and some of his followers attempt to explain human nature to him. When Kusta has failed to tell him in words, his followers attempt to tell him physically, in ‘The Dance of the Four Royal Persons’ which leave footprints in the sand. The incomprehending Caliph has executed the followers but intrigued by their concern over the markings, at last permits Kusta ben Luka to explain what they signify, so that he partly learns the wisdom of this system as it pertains to human nature. Aherne’s comments also allude to the story of Kusta’s wife drawing figures in the sand, ‘which Mr Yeats has expanded into the poem “Desert Geometry or The Gift of Harun Al-Raschid”’, and which appears at the beginning of the second book, ‘What the Caliph Refused to Learn’, presenting the foundation and wider ramifications of the system. These are but harbour waters. John Duddon is the main narrator, but most of the characters tell something of their own lives in their own voices, and the spirit is not dissimilar to that of Noel Coward in Design for Living or Evelyn Waugh in Vile Bodies, very much of the period rather than a romantic timelessness. Duddon concludes his narrative with some stray passages from Michael Robartes’s discourse to the assembled students, but the stories end with a letter to Mr. Yeats from John Aherne, who, on behalf of his brother and Robartes, takes issue with Yeats’s fictionalisation of their lives in the stories of Rosa Alchemica and, amongst other comments, notes the similarities between the unpublished A Vision and ‘what was lost in the Speculum or survives in the inaccessible encampments of the the Judwalis’ (AV B 54). The fictitious Arabian origin of the System and its reappearance in a Western work by a mediaeval scholar had been part of Yeats’s conception of the presentation of the system from very soon after the appearance of the Automatic Script’s strange ideas in late October 1917. When he first wrote to Lady Gregory, on 4 January 1918, concerning this ‘very profound, very exciting mystical philosophy’, he was already planning the context, telling her that he was ‘writing it all out in a series of dialogues about a supposed medieval book, the Speculum Angelorum et Hominum by Giraldus, and a sect of Arabs called the Judwalis (diagrammists). Ross has helped me with the Arabic’ (L 643-44). 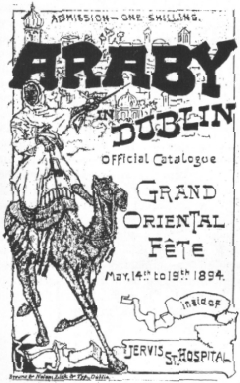 Evidently, within the two months since the Script had begun and whatever his sources or inspirations, Yeats had created the character of the mediaeval scholar, Giraldus, the title of his book, the Arabian ‘sect’, and had been to Sir Edward Denison Ross, a distinguished Orientalist, for help with the Arabic names for verisimilitude, a meeting which Harper and Hood date to ‘certainly before 20 Dec’ 1917 (CVA xxix). He had also, at around this time, asked Dulac for a portrait of Giraldus, which Dulac duly sent on 15 February 1918, asking whether it was meant to be Giraldus Cambrensis (c.1146-c.1223), since if it were, a ‘portrait at the beginning of a book printed in the early 15th cent.’ would have to be vaguer than that which he had drawn (LTWBY 344). Ross had probably provided him with the name of Kusta ben Luka, an historical person; when Frank Pearce Sturm questioned the transliteration, it is clear that Yeats had told him that the source was Ross, leading Sturm to reply that: ‘For an Orientalist who knows forty languages to know anything else . . . would be an impropriety, so I forgive him Kusta ben Luki, & accept his version of the name’ (FPS 86). It is similarly likely that Ross had given Yeats the Arabic translation and transcription of the title of Kusta’s book which he used in some drafts, ‘TARIQAT UN-NUFUS BAYN AL-QUMÚR WA’L-SHUMUS or The Way of souls between the moon & sun’, indicating that Yeats already had the title of that work as well, although the Arabic title never appeared in print and even the English translation was dropped, along with Kusta ben Luka, in AV B.
Q: Is there any reality between the two books we invented. Q: Is that for me. Although it is far from perspicuous, the exchange indicates that, at least in George’s medium-consciousness, the fictitious dual provenance of the system was an element shared between Yeats and the Instructors and, even if his creation, not simply grafted on later. It also appears that Giraldus was originally cast as a primary exponent of the System to contrast with the antithetical Arabs, and, depending on one’s interpretation of ‘between the two books’, Yeats might even have wondered if, in Kusta ben Luka’s The Way of the Soul between the Sun and the Moon and Giraldus’s Speculum Angelorum et Hominum, he might have stumbled on two real books, perhaps through serendipitous contact with the Anima Mundi. The Instructors’ denial and forbidding of further specific research perhaps indicates why ideas that crystallised early on, often slightly incorrectly such as the dating of Kusta with respect to Harun al-Rashid, became harder to correct and therefore remained unchanged later on. The idea of a dual method of presenting the concepts of the sinuous, serpentine path of the antithetical and the straight, normative path of the primary became a series of dialogues between Owen Aherne and Michael Robartes, the later versions of which are published in Yeats’s ‘Vision’ Papers, Volume 4 (see also CVA xxviii-xxxiv for a summary of the drafts). These led to ‘The Phases of the Moon’ (published 1919) and the long notes in Michael Robartes and the Dancer (1921) and eventually the differing perspectives of Robartes, Aherne and ‘Mr Yeats’ that appear in Owen Aherne’s introduction to A Vision A (1925). It seems likely that in January 1918 Yeats did not yet realise quite how much material was going to accumulate. He could certainly have worked the Automatic Script which he had gathered up until that date into a creative, albeit relatively technical, piece along the lines of Per Amica Silentia Lunae, whether as a dialogue or as a battle of the books, however as the months passed and the technicalities proliferated it evidently became increasingly difficult to hope to hold them within a single fictional piece and the fiction, which had been integral from an early stage, remains more as a framing device, although never just a framing device. It is easy for a reader now to think that the Arabian stories draw attention to their own fictional status, but Yeats appears to have expended considerable effort on creating a plausible context, enlisting Ross and Dulac’s help; though the fictions certainly obscure the ideas’ origins within a deliberately nebulous web, Robartes’s adventures at least do not read too differently from the reconstructed accounts of Gurdjieff’s meeting with Naqshbandi dervishes in the Ottoman Empire (see Robartes). Although the System of A Vision is problematic in a number of ways, the problems which are raised by the fictions that provide the framing for the two versions of A Vision are very different. They are also very much distinct for the two versions, since the fictions work in entirely different ways. However, there are certain elements in common: how they are meant to affect our reading of the ‘content’, to what extent they are continuous with the metaphysical content and to what extent contingent, and how intrinsic they are to Yeats’s own attitude towards the subject matter. Barbara Croft’s study ‘Stylistic Arrangements’ is particularly strong on this area in her Chapters ‘Unnatural Stories: A Comparison of the Fiction in the Two Versions of A Vision’ and ‘Style: The Playing of Strength’, while Hazard Adams considers the framing of A Vision B in some detail in the first four chapters of The Book of Yeats’s Vision. Yeats and the Occult contains essays on the characters of Aherne and Robartes, and Suheil Bushrui’s article, ‘Yeats’s Arabic Interests’, gives some valuable background. Unfortunately the author has chosen for his narrative and forth-setting the form of romance, the success of which, in such a case, depends, not on the free flight of the imagination only, but on a good equipment in science, philosophy, history and scholarship, so that the fiction may ‘intrigue’ the educated as well as the casual reader. . . . Take his mythical Giraldus. If he supposes that the famous Humanist of that name, Gregory of Ferasa, the friend of Picus de Mirandula, could supply sufficient camouflage for his purpose, he is greatly mistaken. . . . We have also a woodcut portrait of G. facing The Vision’s title-page, which will doubtless impress the unwary. But, as we are assured by a student of such cuts, the ‘hatching’ is not mediæval, but characteristic of modern German reproductions. He continues to complain about the bad Latin, poor proof-reading, unreliable quotation and the sketchiness of the history included. It is distasteful to criticise a work to the perusal of which he looked forward with such keen expectation. But when we are asked to subscribe £3 3s. for a copy of a book, we expect it to be either one that contains some very valuable reliable information or a literary masterpiece; and it cannot be said that A Vision as a whole comes up to either expectation. This is a pity; for lovers of Mr. Yeats’ poetry will find some fine verse-pieces in it. Though the problem of literature versus ‘very valuable reliable information’ had preoccupied Yeats in the preparation of A Vision A (see the Two Editions), the situation is significantly different when considering the fiction. Here literature must predominate, but in the context it may well need at least some ‘equipment in science, philosophy, history and scholarship, so that the fiction may “intrigue”’. The power of the stories in Rosa Alchemica derives in part from just such convincing detail evoking atmosphere and exploring metaphysical issues, such as the nature of sin. When Owen Aherne discovers the unique copy of Liber inducens in Evangelium aeternum, the book is described in attentive detail and the effect on the man is at the centre of the story. The fiction of AV A is not self-contained in this way, since the discovery of the Speculum and the Judwalis’ systems have little consequence within the story itself beyond Robartes’s return to the Near East. The story is subservient to its function as the context of the documents which purportedly give rise to the ‘matter’ of A Vision. In part, this what the new Stories of Michael Robartes and his Friends seek to address, since Robartes appears as a man whose preternatural knowledge is in evidence, and its foundation in the System is therefore given greater life. The personages of Giraldus and Kusta ben Luka provide some colour, but are deliberately left obscure and even dubious. They may excite interest as to what exactly Yeats was trying to indicate through them, but identification does not solve any problems nor does it really further understanding of the System greatly. There is probably no single, real Giraldus who was Yeats’s model and Yeats may not even have been particularly drawn to the historical figure of Qusta ibn Luqa, settling for the name offered to him by Ross, but without expecting every detail to tally. As Kathleen Raine comments in her essay ‘Giraldus’, he is ‘one of his dramatis personae, a fiction like Michael Robartes, Aherne’ and the rest of the cast, and ‘a precise identification would situate the character in history not in the realm of imagination with which the artist is concerned. Besides, the imagined persona can combine characteristics to be found perhaps in no single individual. This is not to say that these figures, being the quintessences of history, are not carefully and exactly conceived’. No doubt Yeats’s creation of this compound ghost had at least some of the antecedents scholars have sought for him, but ultimately he is given very little character in the fictions created, beyond the Dulac portrait based on Yeats, and it is impossible even to place him at a particular date. He exists as the author of a book in Latin that has been mutilated, and we learn of little about that book beyond Robartes’s brief description and a few woodcuts supposedly reproduced from it. Though the only factual connection between the Giraldus’s and Kusta ben Luka’s versions of the system is Robartes, the fact of its independent but almost identical development is designed to show how the elements of human truth emerge in all systems and faiths, which is the basis of Theosophical thinking and Baha’ism, for instance. The myth that Yeats created surrounding A Vision in 1925 is partly one of subterranean tradition and indirect transmission, the loss of knowledge and its rediscovery or reconstruction. The process is also one of decay and loss, however, since innumerable ancient works have disappeared or survive only in fragments, usually in the quotations of other writers. Two of the best-known examples are those of the lyric poet Sappho, who was called the tenth muse in her day, and the pre-Socratic philosophers in general, of whom Parmenides is one of the more renowned since one of Plato’s dialogues is named after him. They come together in the poem ‘The Gift of Harun Al-Raschid’, in the fictional Kusta’s decision about where to have his letter secreted once it has been read by its recipient. Yeats comments that he has ‘greatly elaborated’ the fictional ‘bare narrative’ of the Judwalis concerning Kusta, ‘but I do not think it too great a poetical licence to describe Kusta as hesitating between the Poems of Sappho and the Treatise of Parmenides as hiding places. Gibbon says the poems of Sappho were extant in the twelfth century, and it does not seem impossible that a great philosophical work, of which we have only fragments, may have found its way into an Arab library of the eighth century’ (VP 829). Since the letter is a love-story he thinks first of Sappho, but decides that it will find more favour with those who go to study the Treatise of Parmenides, presumably his lost hexameters On Nature, so decides that this should be the hiding place, ‘for Caliphs to world’s end / Must keep that perfect, as they keep her song, / So great its fame’ (AV A 121; VP 461). Yeats, the puppeteer-creator, is aware of course of the proleptic irony of Kusta’s choice, since neither of these writers has outlasted the injustice of time. Parmenides’ work will be lost from the libraries of vanished Caliphs, as too will Sappho’s song; the Sacred Book of the Judwalis ‘had been lost or destroyed in desert fighting some generations before’ the time of the old man whom Robartes met (AV A xix). The Judwalis’ doctrines are laid out in the sand, to be obliterated as soon as the first wind comes along; only the oral tradition keeps the wisdom intact. Even Giraldus’s work has been mutilated in order to make a fire and then used to prop up a bed when Robartes finds it, its physical constituents more important that its contents, so that he is left with tantalising fragments and indications of what the whole work must have been. The notion of historical provenance was important to root A Vision, even if only imaginatively, in a tradition. Yeats seems to have been pleased that the System he saw emerging from the Instructors’ Script appeared to be original and new, while traditional in its symbology and comprehensible in terms of its structural basis, at least to those versed in Cabalistic and astrological technicalities. At the same time the fictional constructs he creates show the other side of the same situation: doubt about the validity of something that had not been thought of before. The fiction implicitly questions how true the Automatic Script and therefore A Vision can be if they are not rediscoveries of past knowledge and lack some distant lineage; though this is a perennial paradox of occultism which often claims both the novelty of revelation and the wisdom of ages, Yeats had long tried to turn it to advantage, writing in ‘The Moods’ (1895) of the ‘ever new and ever ancient revelation’ of the ‘invisible life’ (E&I 195). The types of construct that can loosely be termed occultist have frequently been given more ancient beginnings than they have or can prove; from the Hermetic Corpus to Rosicrucianism to the Tarot, enthusiasts have tended to see greater antiquity as a mark of greater validity, and the very shadowiness of their origins, together with the archetypal elements within their construction, lend themselves to mythopoeia. Another crucial element in the story is the polarity of Aherne and Robartes, which had already been present in the Rosa Alchemica stories, where Robartes celebrates a new form of polytheism, while the Aherne recoils from a heresy, which he has found leaves him unable to sin and therefore unable to have contact with God, the fundamental primary impulse. The dialogues in YVP 4 very much put Aherne into the role of a broad-minded Christian, who tries to see how Robartes’s ideas can be accepted on the intellectual level of Plato’s myths or reconciled with strands of Christian tradition. In the editorial dispute described in Aherne’s ‘Introduction’ to AV A, Robartes’s reason for giving the documents to Yeats instead is that Aherne has ‘interpreted the system as a form of Christianity, that only those aspects of character that were an expression of Christianity interested me—primary character to use the terms of the philosophy’ (AV A xxi), while Yeats has gone in the opposite direction, so that, if Aherne ‘made too little of the antithetical phases he has done no better by the primary’ (AV A xxiii). Through this fiction, therefore, Yeats acknowledges a bias towards the antithetical elements of the System, and a possible slighting of the Christian perspective, without feeling any need to correct it. In ‘The Stories of Michael Robartes and His Friends’, Aherne is a slightly more shadowy figure, Robartes’s factotum, rather than his intellectual antagonist, often arriving in the stories of the younger generation. Croft uses the term ‘absurdist’ for elements in the stories and there is a mixture of the inconsequential and illogical in them that certainly seems absurd, for instance Daniel O’Leary’s story of trying to throw his boots at actors who are speaking badly. There is also an theme of sexual triangles, so that John Duddon is impotent with a woman unless Peter Huddon has already slept with her, and Denise acquiesces to this in her love for Duddon, while Mary Bell’s husband seems willing to accept the child of his cuckoldry by John Bond, obsessed though he is with the immorality of cuckoos themselves. Robartes’s tale of his love for a cruel ballet-dancer and brief liaison with an Viennese girl, takes its place among these other stories of amorous intrigue, distinguished by the elements of the lunar systems and the teller’s oracular generalisations, but still a story of infatuation, dalliance and disappointment. The mythical element is still there, in the third egg of Leda, which Mary Bell will carry to the desert, but it does not sit entirely easily with the setting, in the same way that the Furies in T. S. Eliot’s Family Reunion can seem awkward. It is not that modern life cannot accommodate the mythical, but Yeats himself perceived a form of splitting of the factual from the mythical since the Renaissance, which had reached a crucial stage in his day, as evidenced in Ulysses, Henri IV or The Waste Land (AV A 212, see text). Robartes himself straddles the divide to some extent, a figure of romance, fighting with T. E. Lawrence in the desert, which is almost as close as contemporary life could offer to mythic action. He also shows more than common knowledge, reminiscent of the mysterious figures of the Inspector of J. B. Priestley’s An Inspector Calls or the psychologist Reilly in Eliot’s The Cocktail Party. The Arabian romance of Kusta ben Luka recalls the Orientalism of Lord Dunsany’s play The Tents of the Arabs (1918; produced at the Abbey, 1920) or Elroy Flecker’s Hassan of Bagdad (posthumously, 1922), though more modernist echoes can be seen in Wyndham Lewis’s one-page parable which prefaces The Caliph’s Design. Architects! Where is your Vortex (1919). (Concerning Orientalism, in the sense of the West’s definition of itself in contrast to the East and its ‘exoticisation’ of the Orient, see Edward Said’s Orientalism.) Modernism was generally hostile towards the Victorian inheritance of Pater and the jewelled prose of Rosa Alchemica; in resuscitating and recasting figures from the 1890s Yeats was partly rejecting ‘that extravagant style / He had learned from Pater’ (‘The Phases of the Moon’), reclaiming the characters and bringing them into the present, gently in AV A, more forcefully in AV B. However, though Robartes and Aherne as a self-contained pair in ‘The Phases of the Moon’ or with Yeats in AV A retain certain mythic and larger than life dimensions, when they are dragged into the house in Albert Road, Regent’s Park, they either seem to be too large characters to be involved with Huddon, Duddon and O’Leary, or to be somewhat reduced by their association with these people. Yeats was perfectly familiar with the prosaic surroundings of such mages as Blavatsky and Mathers, and with meetings at unprepossessing London addresses (Regent’s Park is probably a step up from Blavatsky’s Norwood or Mathers’ Forest Hill; c.f. his account of shabby occult orders in his unfinished novel, The Speckled Bird), so he was perhaps not too strongly swayed by outward appearances, but the disciples chosen by Robartes do not seem calculated to reflect much glory on the propounder of the ‘lunar parable’. Robartes visions, ‘as he awaited his morning tea’, of a man in need of boots or the lives of John Bond and Mary Bell, are both impressive (within the fiction) and rather trifling. In AV A the System is given weight by a forged tradition, and Yeats might have been glancing at the cipher manuscripts, serendipitously discovered by William Wynn Westcott, that had supposedly been the foundation of the Hermetic Order of the Golden Dawn’s rituals. The accretions of legend around Kusta ben Luka can be dismissed as exaggerated or even fiction, since what is important is that the tradition is old enough and significant enough that legends have accreted at all. In AV B the origins of the System are plainly stated in ‘A Packet for Ezra Pound’, so that the fictions centre on showing it in action, albeit in a slightly quotidian context, so that Robartes is shown pronouncing gnomically on the basis of his wisdom, and preparing to undertake a new quest to the desert. In his original construction of a fictional tradition from which A Vision arises, Yeats attempts to give it a context, but there is a problem inherent in this, which he partly acknowledges in the story of John Bond and Mary Bell’s creation of a cuckoo’s nest (AV B 49). A cuckoo’s nest is almost a symbol for unnatural fiction, particularly since Yeats followed Henry More in speculating that the birds’ instinct for nest-building was a natural manifestation of Anima Mundi, so that ‘it is the dream martins that, all unknowing, are master-masons to the living martins building about church windows their elaborate nests’ (Myth 359; the text incorrectly reads ‘marten’, a mammal, which incidentally goes unnoted in the Collected Works of W. B. Yeats Vol. V , 27). Because the dead or dream-cuckoos cannot rehearse the process in the race-memory for their living counterparts, they are unable to build a nest. (He was, however, acquainted with his own pet canaries, and with the need to give them a nest sometimes in order to encourage them.) Humanity can create against tradition and nature; how valid such creation can be is an unanswered question, though the desire to do so is itself deep-rooted. Robartes entrusts the nest-forger with Leda’s third egg, expecting that what hatches in the desert sands may usher in the new dispensation, and implying, perhaps, that the pious fraud has its own form of authenticity. In the ‘Dedication’ of A Vision A, Yeats says that his purpose in the Golden Dawn was a ‘practical object. I wished for a system of thought that would leave my imagination free to create as it chose and yet make all that it created, or could create, part of the one history and that the soul’s’ (AV A xi), to comprehend life and enable him to grasp it, and at the end he asks whether he had ‘found a good next for a herring fisher’ (AV A 251). In A Vision B he proposed a less demanding criterion, requiring the System to work as ‘stylistic arrangements of experience’, though still enough ‘to hold in a single thought reality and justice’ (AV B 25). This slightly modified requirement of his System is reflected in the fiction, where there is both greater realism and more distance. The System can be embodied in Michael Robartes, who fully accepts and lives in it, but for the rest it seems to be less dominating and all-encompassing. Owen Aherne’s Christian scepticism is marginalised, but partly because the System does not require the kind of whole-hearted faith that sets it up in opposition to religion. This is not to say that Yeats himself had any less commitment to the System than before, but that he had found that it was more accurate to describe it as a way of seeing than a way of living, since the moral elements of the System are relatively scant, and to reinforce his earlier feeling that ‘there are many symbolisms and none exactly resembles mine’ (A Packet for Ezra Pound , 33).